I have yet to meet an aggressive Papillon! They are sweet, gentle and kind animals that love to be around people and play with other dogs and cats. A lot of these little toy breeds actually think they are cats and will avidly chase after them. 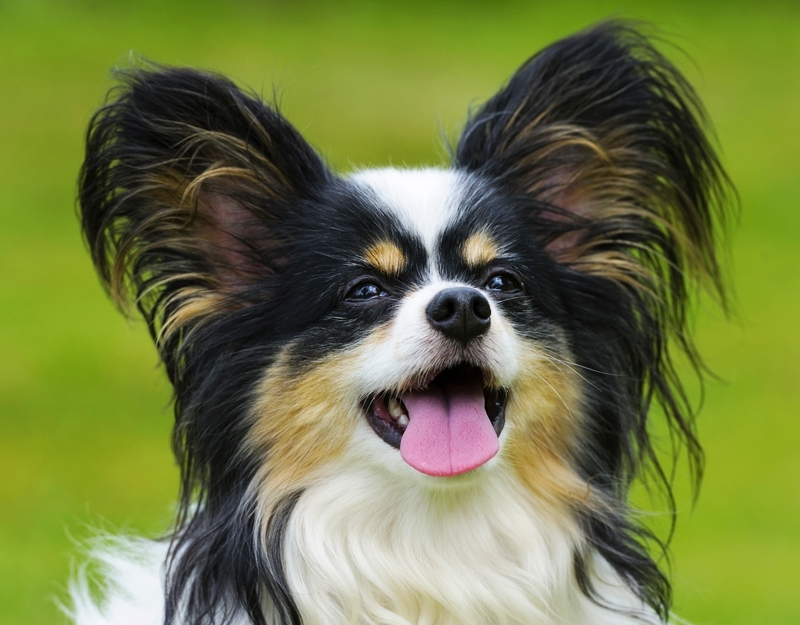 This breed has those characteristic large, hairy sets of large ears which definitely scream Papillon! If you look at the head and the ears together, they look like a butterfly; hence their name Papillon which means “butterfly” in French. This breed packs a punch! It has a tremendous amount of energy; sort of on level with a 2 year old child! They do get tired and often will be found sound asleep on its favorite sofa! If you do keep this breed in an apartment setting you still need to take it outside to exercise and blow off steam! They are good with children but should be supervised when the child is handling the animal. Toy breeds are generally fragile little animals with small bone structures. The Papillon has very few problems associated with it outside of issues associated with a lot of toy dogs such as floating kneecaps (patellar subluxation) and heart issues as they age. The Papillon requires regular grooming but its coat is quite silky and not that thick so its maintenance compared to others toy breeds is not that big of an issue. I love Papillon dogs! A fabulous, loveable companion animal! They always remind me of one of the most endearing qualities of companion animals and that is their unconditional love for their people! Good day, bad day our loyal animal companions are always there for us! That is a quality rarely associated with the human race. Learn more about the Papillon at Animal Planet’s® Dog Breed Selector.